McCall Wedding Photographer Todd Nichols Photography took these images for Kelly and Alex's Shore Lodge Wedding. 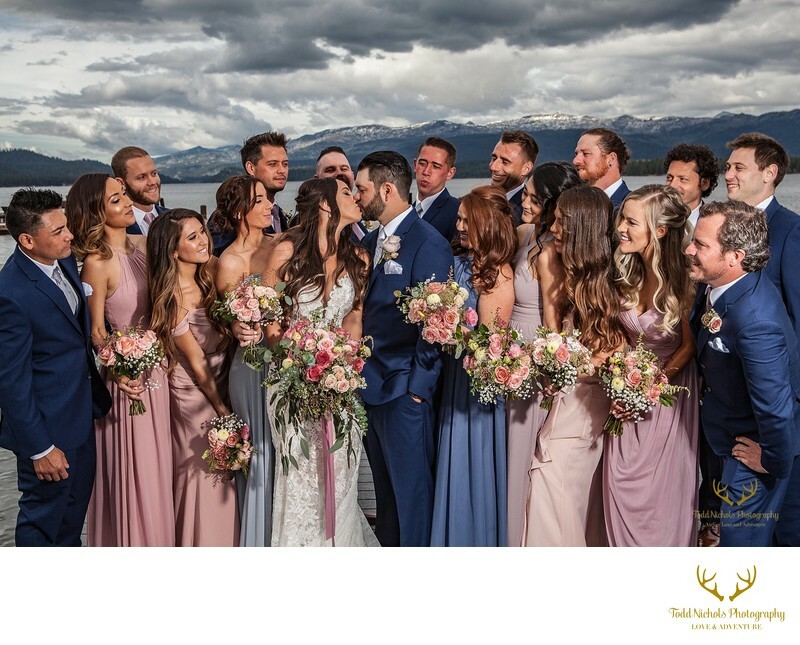 This destination bride and groom had so much fun with their wedding party out on the docks of this lakeside McCall wedding venue! Shore Lodge is a rustic lodge on the shores of Payette Lake. Established in the 1950's this McCall hotel and resort has just the right combination of rustic charm and upscale elegance. The mountain views from the docks are spectacular for your wedding day ceremony and reception. We are sure to get spectacular wedding pictures when you book your McCall wedding here! 1/160; f/8.0; ISO 100; 40.0 mm.